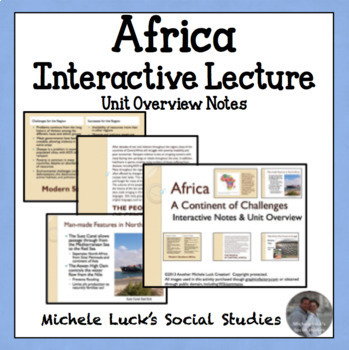 Introduce or review the Geography of Africa with an Interactive Lecture! 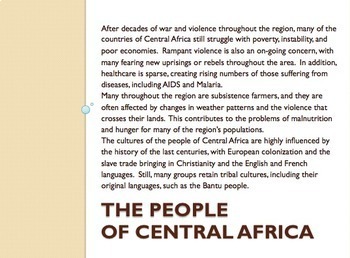 In this 50 page Interactive Lecture on the continent of Africa, your students will be introduced to the regions physical and human geography. 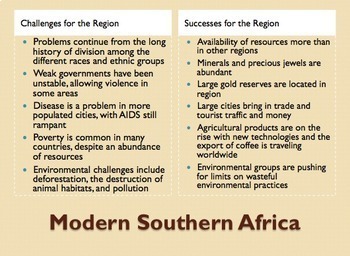 Set up according to the regions of Africa, students are posed questions for understanding and provided key content. Very visual, and impressive graphics allow students to evaluate the information, rather than simply copying notes from a blackboard! Also includes role card activities for students to interact with information and participate in discussion. Great to introduce the unit or as a unit review. 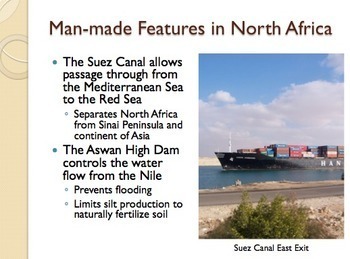 This activity is also available as part of my Geography of Africa Complete Unit in my TpT Store! Visit my store for other great resources for Social Studies, including lessons, activities, Walking Tours, Archeology Digs, Centers, Games, and so much more!